A new factory V8 Supercars driver is about to be announced. Garry Rogers Motorsport – transforming into Volvo Polestar Racing for 2014 – will tomorrow reveal who will steer an S60 alongside youngster Scott McLaughlin. Volvo’s entry into V8 Supercars was announced last June, making the Swedish marque the fifth in the Championship alongside Holden, Ford, Nissan and Mercedes-Benz AMG. The entry is an amalgamation of Garry Rogers Motorsport, Volvo’s global motorsport partner Polestar Racing and Volvo Car Australia. At the Supercheap Auto Bathurst 1000 GRM declared McLaughlin the first official Volvo driver, ahead of the manufacturer’s debut in the Championship. McLaughlin, who was awarded the V8 Supercars Mike Kable Young Gun Award recognising his spectacular debut season, extended his relationship with the team mid-year, pleased to represent the new marque and become a factory driver until the end of 2016. Meanwhile, his teammate Alex Premat had been in doubt. The Frenchman was signed by GRM in 2012, and a challenging first season saw him place 27th. An unforgiving 2013, and the former DTM driver recently announced his departure from the team after finishing 19th overall. “After examining my driving options both here and overseas and having had discussions with Garry I have decided to explore other avenues and I have informed Garry that I will not be driving for GRM in season 2014,” his official statement read. The team continues working to complete the two brand new Volvo S60s ahead of the Sydney.com Test Day in a month’s time. One had been spotted running when GRM conducted an initial aerodynamic evaluation last month, though it did not have a Volvo engine under the bonnet. 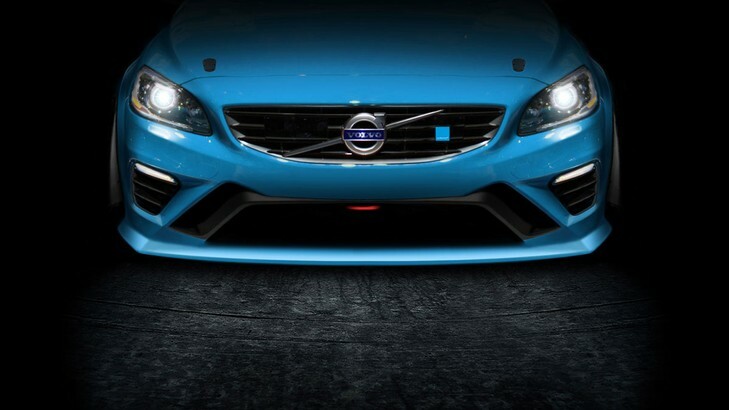 A double overhead camshaft B8444S engine, which Polestar Racing has developed in Sweden, will power the S60s. A model of the 5.0-litre engine was unveiled at the Sydney NRMA Motoring & Services 500, the 2013 grand finale, and Volvo is confident it will deliver competitive performance this season. Team boss Rogers stated a number of local and international drivers had contacted him looking for a drive – and all will be revealed tomorrow. Who will take the coveted seat? See the announcement as it happens on SPEED TV, streaming the event live here. The V8 Supercars Championship kicks off at the Sydney.com Test Day, where all cars will hit the track at Sydney Motorsport Park with fresh 2014 liveries, on February 15. The first race weekend, the challenging, concrete-lined Clipsal 500, runs from February 27 to March 2.